Set that contains both books in one UNRAVELING (Book one) Katy Spencer’s life fell apart two years ago. Since then, she’s closed herself off. She’s a shell of the person she used to be. The only person she trusts is her best friend Rollo, but even he can’t keep the nightmares away. Then she meets Jared. He’s the first man she’s been around since the event that she’s not afraid of. He makes her heart race, not in fear, but in a fluttering that could become something meaningful. Jared can tell that Katy is broken. He sees something in her eyes that he’s often seen reflected in his own. Pain. Fear. Self-loathing. Jared is determined to get to know her. He wants to solve the mystery of Katy Spencer. 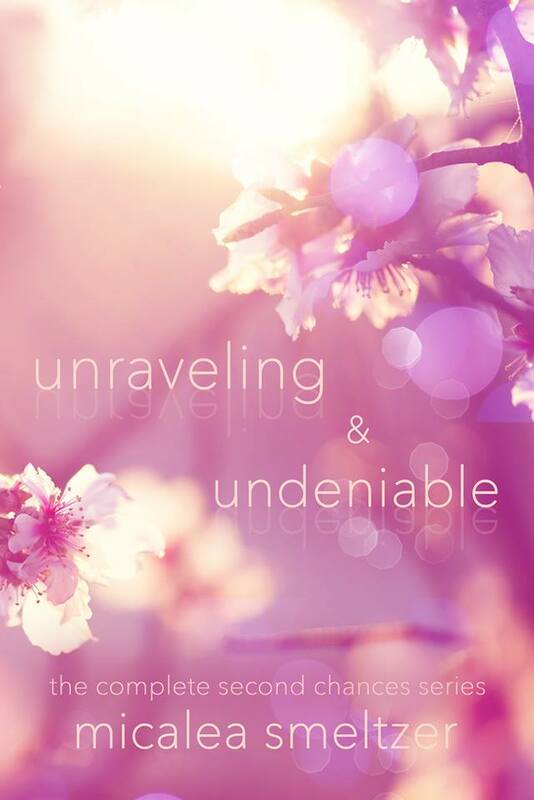 He will… unravel her. UNDENIABLE (Book Two) Karlie Reed has been crushing on Holden Marks for as long as she can remember. The problem? He’s eight years older than her and her brother’s best friend. One night, when things get out of hand, they make a pact. They’ll spend the summer together and when Karlie goes to Joffrey Ballet School, their affair will end. No emotions, no hearts broken. But nothing is that easy. When the unexpected happens, Karlie and Holden are rocked to the core. Karlie will run. But will Holden fight for her?